Havel the Rock was once a bishop and a close friend and battlefield compatriot of Lord Gwyn's. He served on the battlefield alongside Gwyn, leading a group of men in armor carved from solid rock. These warriors wore a ring to help them use their heavy armor effectively, and to show faith in their leader. Havel is found locked in a watchtower in the Undead Burg, long hollowed. Havel wielded the Great Magic Barrier miracle in order to combat his sworn enemy, Seath the Scaleless. This miracle can be found on the path to Ash Lake. Its placement further cements Havel's role in the war against the dragons, which occurred in the vast expanse of archtrees below Lordran. 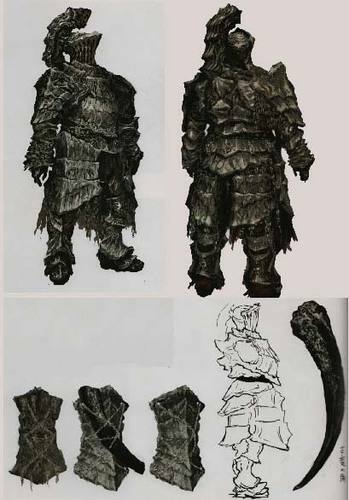 Havel's Set Armor worn by Havel the Rock's warriors. Carved from solid rock, its tremendous weight is matched only by the defense it provides. Havel's Ring This ring was named after Havel the Rock, Lord Gwyn's old battlefield compatriot. Havel's men wore the ring to express faith in their leader and to carry a heavier load. Havel's Greatshield Greatshield of the legendary Havel the Rock. This greatshield is imbued with the magic of Havel, provides strong defense, and is incredibly heavy. A true divine heirloomon par with the Dragon Tooth. Dragon Tooth Created from an everlasting dragon tooth. 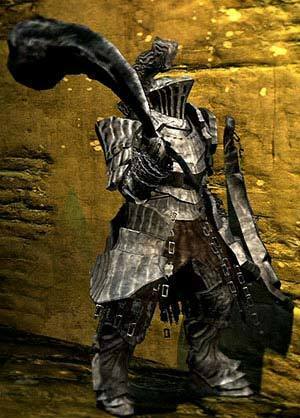 Legendary great hammer of Havel the Rock. Great Magic Barrier Miracle of Bishop Havel the Rock. Havel the Rock, an old battlefield compatriot of Lord Gwyn, was the sworn enemy of Seath the Scaleless. He despised magic, and made certain to devise means of counteraction. Magic Barrier Miracle of Bishop Havel the Rock. This coating greatly boosts magic defense, assisting warriors who must face the magic which Bishop Havel countered so proficiently. Watchtower Basement Key Key to the basement of the watchtower in the Undead Burg. The basement of the watchtower forms a stone cell. There are rumors of a hero turned Hollow who was locked away by a dear friend.